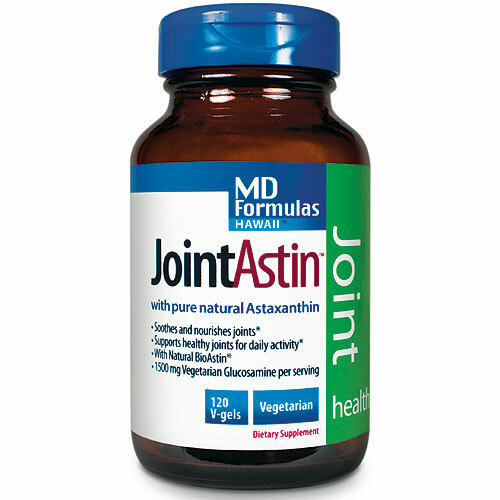 Nutrex JointAstin is the first non-animal source, completely vegetarian joint formula on the market. 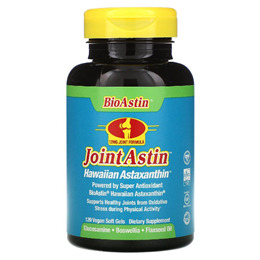 JointAstin is a powerful formula designed to support and nourish your joints, tendons and synovial fluids. Doctors Bob Corish and Leonard Smith, MD, developed this unique formula based on clinically proven ingredients and centered on BioAstin, the most powerful natural antioxidant. Non-GMO modified cornstarch, Seaweed, Glycerin (vegetable), Sorbitol, Non-GMO Lecithin, Beeswax, Purified Water, High Oleic Safflower and/or Sunflower Oil, Natural Tocopherols..
Each bottle contains 120 capsules for a full month`s supply. 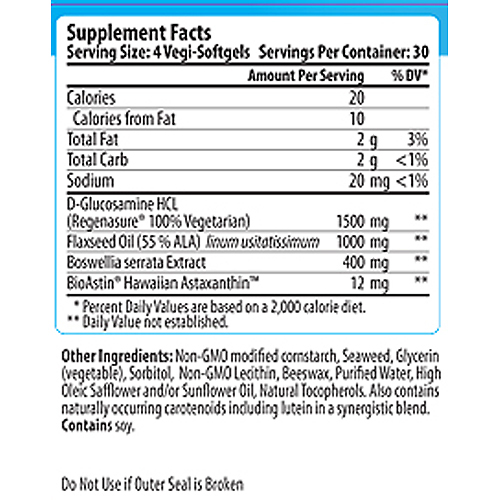 Below are reviews of Nutrex JointAstin Joint Support - 120 Vegicaps by bodykind customers. If you have tried this product we'd love to hear what you think so please leave a review. Nutrex JointAstin is a powerful formula designed to support and nourish your joints, tendons and synovial fluids.